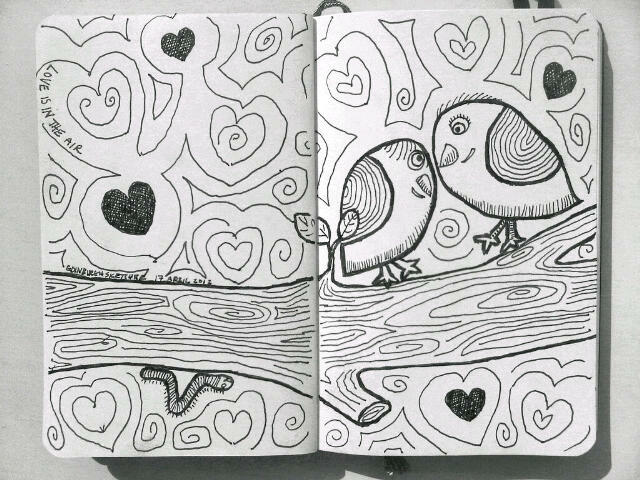 Love is in the air in my latest sketch from my imagination series. Still hauled up in the Western Hospital and with little inspiration I am enjoying exploring my head for scenes to sketch. I thought this would make a nice card, perhaps with a little colour added to highlight the birds and the tree. Really like that sketch, nice touches like the upside down worm and the raised foot. Clever you.